"Alright, Fido. The game is on the line. That safety they have you matched up against is gassed. I'm gonna need you to run a 15 yard post. I'm gonna get you that ball, you just make sure you score. Got it?" Wait, hold on a second. We know you're not Tom Brady, and we definitely know that your pooch is a not superstar wide receiver for the New England Patriots. But, there's no harm in pretending, right? 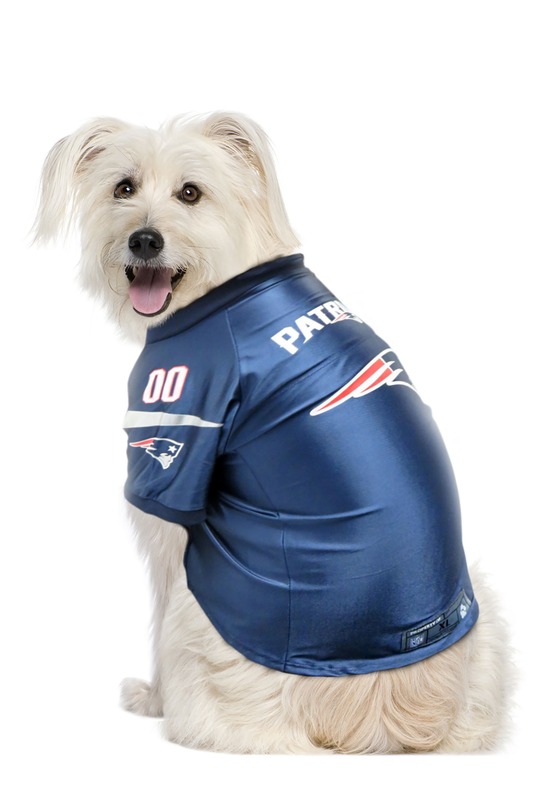 All Pats fans love dreaming about suiting up to help their squad win the big game, so why not make sure your beloved pet gets to get in on the action. 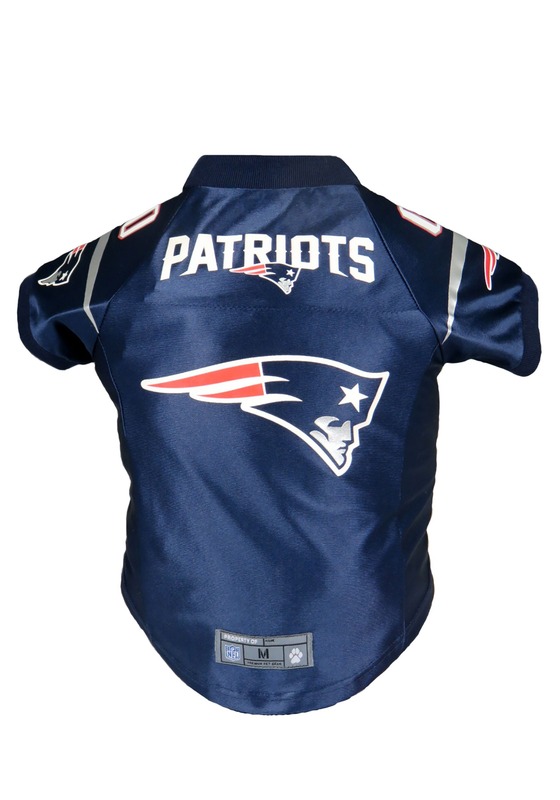 And now they can, with this New England Patriots Pet Premium Jersey! NFL officially licensed, this jersey looks like it came straight out of the Patriots locker room. But you don't have to bribe any equipment managers to get this cool jersey, you can pick it up right from us! 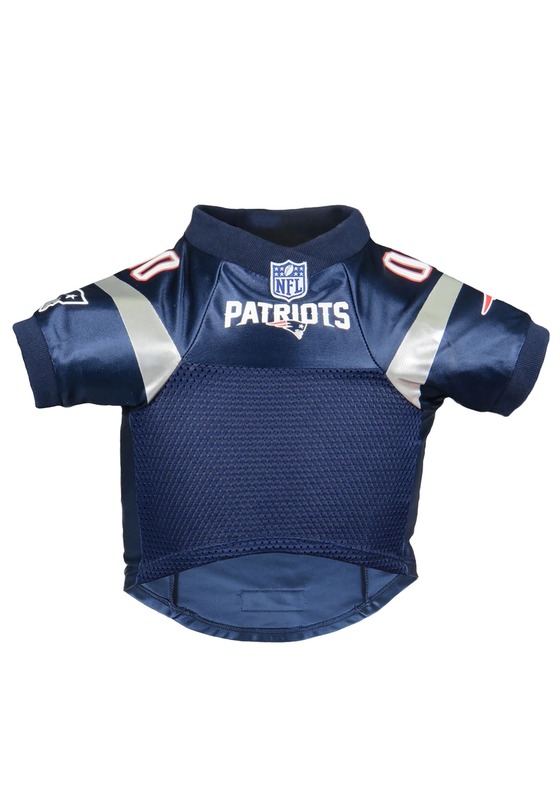 With printed franchise logos, player number "00" and sizes to fit pups sized extra small to extra large, just about any breed is going to be ready for Patriots action. Get them this pet jersey for an easy dog costume or to have them all dressed up to support the team on game day!